The United Nations often gets accused of talk and no action. Perhaps, however, it is necessary to do a lot of talking before action, in order to clarify both purpose and means and to achieve genuine consensus. The UN does have a consensus model of decision-making, where one vote can be a veto. This being so, lots of talk is inescapable. Two years ago the German Advisory Council on Global Change (WBGU) was highly critical of the leaderless talkfest on development issues. Now two years later, as decisions are soon to be made after tsunami of talking, they have entered the debate with I think an important contribution about the need for planetary guardrails for development. Civil society groups were scathing. George Monbiot describes it as 283 paragraphs of fluff. That’s how I began my post on Rio+20, written in October 2012, when Larvatus Prodeo was in hiatus and Climate Plus did not yet exist, so it has never been on the front page and no doubt has had a very small audience. I commend it to you. Highly critical too was the German Advisory Council on Global Change (WBGU), a body set up in in 1992 to advise the German Government prior to the 1992 Rio Earth Summit and remains the official advisory body on climate change. The WBGU has a brief which goes beyond climate change and indeed the environment to change generally. However, climate change is always front of mind, because one Hans Joachim (John) Schellnhuber co-chairs the WBGU and is also Director of the Potsdam Institute for Climate Impact Research (PIK). 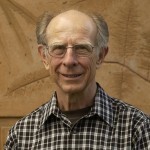 Schellnhuber perhaps is to European climate science what James Hansen is or was to American climate science, but not held at arms length by government actors. He has personal and official access to the president of the European Union and the German chancellor Angela Merkel. No doubt it helps that Merkel has a background as a research scientist in a similar discipline to Schellnhuber’s PhD, and was minister for the environment in Helmut Kohl’s government. an international crisis of leadership and confidence, a “G-Zero World” in which no leading power effectively is taking the initiative and no coalitions capable of taking action are emerging. Many think this may have now changed with recent decisions made by the US and China and co-operation between the two. 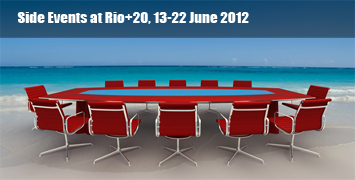 Rio+20 made one significant ‘decision’. The Millennium Development Goals process comes to a natural end in 2015. Obviously it should be replaced by something to continue the work, so Rio+20 decided that there should be a new process to establish a new set of ‘sustainable development goals’ (SDGs). The WBGU press release commented favourably on the supporting program, which “showed that the transformation towards sustainability is already in full swing”. The conference site registered over 500 on-site side events over 10 days. In Rio+20 in numbers they suggest there were thousands if you count those off-site as well. In a sense the official summit was a side-show. On the official level, having been given a head of power, the UN machine then swung into action, meaning more talk, in spades. It generated a high level panel of eminent persons (you can bet Schellnhuber was there), an Open Working Group withy the main carriage of ‘doing something’ and a UN System Task Team on the Post-2015 UN Development Agenda to undertake thematic and regional consultations. 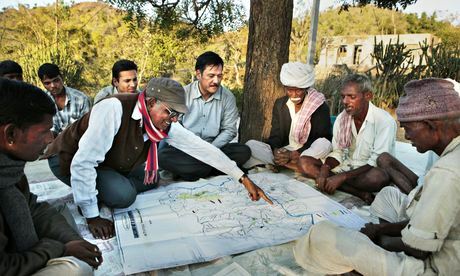 There is also a Sustainable Development Solutions Network (SDSN), led by Jeffrey Sachs, economist and advisor to Ban Ki-moon on development issues. More talk too on the unofficial side. In Melbourne on 20-21 June there will be a C20 Summit of civil society leaders to make recommendations to the November G20 meeting, if Abbott extends the agenda to such trivia. As discussed here the problem with SDGs is that if you try to do everything then effort becomes dissipated. If you narrow the focus too much then important issues may be missed. The Millennium Development Goals were thought to have struck a good balance. They covered the eight areas of poverty alleviation, education, gender equality and empowerment of women, child and maternal health, environmental sustainability, reducing HIV/AIDS and communicable diseases, and building a global partnership for development. WBGU have now entered the debate by suggesting that development and environmental protection must be considered together and not contradict one another, the key message of the 1992 Earth Summit. Moreover, human change must operate within planetary guardrails to avoid permanent damage. Accordingly they have suggested adding an SDG entitled ‘safeguarding Earth system services’. 1. Climate change: The warming of the climate system should be limited to 2°C. Global CO2 emissions from fossil energy sources should therefore be stopped completely by about 2070. 2. Ocean acidification: In order to protect the oceans, the pH level of the uppermost ocean layer should not fall by more than 0.2 units compared to pre-industrial figures in any major ocean region. CO2 emissions from fossil energy sources should therefore be stopped completely by about 2070 (congruent with Target 1). 3. Loss of biological diversity and ecosystem services: The human-induced loss of biodiversity and ecosystem services must be halted. Its direct anthropogenic drivers, e.g. the conversion of natural ecosystems, should be stopped by 2050 at the latest. 4. Land and soil degradation: Anthropogenic land and soil degradation must be halted. Net land degradation should be stopped by 2030 – world-wide and in all countries. 5. Risks posed by long-lived and harmful anthropogenic substances: The substitutable use of mercury and anthropogenic mercury emissions should be stopped by 2050. The release of plastic waste into the environment should be stopped worldwide by 2050. The production of nuclear fuels for nuclear weapons and nuclear reactors should be stopped by 2070. 6. Loss of phosphorus: Phosphorus is an essential resource for agriculture and therefore also for food security. The release of non-recoverable phosphorus into the environment should be stopped worldwide by 2050, so that its global recycling can be achieved. the SDGs are not an agenda ‘exclusively for developing countries’; rather, they should apply to all states. Only in this way can curbing global environmental change become a joint task for humankind. I think you’ll find this mob suggested the 2°C guardrail which took more than a decade to be adopted in 2009. In 2009 they came up with the budget approach to emissions stabilisation, yet to be adopted by international negotiators, although it seems the obvious, rational and equitable way to share the burden. Perhaps they will have better fortune this time! At least their suggestion comes when thinking is fluid. At least it rescues climate from a mere sub-component of Cluster 5, to an essential part of the frame for the whole exercise, which is as it should be.